2. Structure Over Water – Aerodrome? McGill Conference on International Aviation Liability & Insurance 25-26 October Montreal. Rui Fernandes and Mark Glynn represented the firm at the conference. Rui Fernandes was asked to fill in for a speaker who was unable to attend. In a moot court appeal Rui argued for the appellant in a suit against an airline for allowing a child to be abducted by a parent who took the child out of the country. Mark Glynn was on the planning committee for the conference attended by aviation lawyers from all over the world. Fort Lauderdale Mariners Club Seminar – October 29-30, Fort Lauderdale. Kim Stoll represented the firm at the seminar. 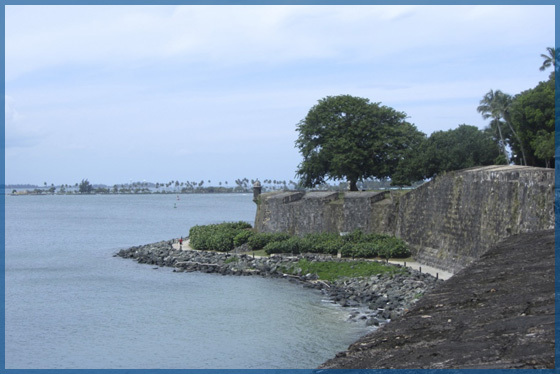 United States Maritime Law Association Fall Meeting and The Ibero-American Institute of Maritime Law 18th Congress – October 29 to November 3rd, Puerto Rico. Rui Fernandes represented the firm at the conference. National Conference on Supply Chain and Logistics –November 3-5, 2013, Toronto, Ontario, Canada. Kim Stoll and Martin Abadi will be representing the firm at the conference. Rui Fernandes and Martin Abadi will be attending the Ontario Trucking Association Annual Conference in Toronto on November 14th. Gordon Hearn will be presenting a paper on “Managing Risks in Export Trade Markets” to The Toronto Hispanic Chamber of Commerce on November 15 in Toronto. The Canadian Board of Marine Underwriters annual meeting and dinner will be held December 3rd, 2013 Toronto. The Toronto Transportation Club 100th Anniversary Celebration will be held on December 5th in Toronto. The Grunt Club annual dinner will be held December 6th, 2013 Montreal. In the recent decision of Seguin (Township) et al v. Bak, 2013 ONSC 5788 the court was asked to determine whether the structure built at and over the water’s edge on Lake Rosseau was an aerodrome, thus exempting its construction from the application of provincial and municipal building, planning, zoning and environmental laws, by-laws and regulations. Mr. Bak was a developer who had purchased a recreational property with shoreline frontage on Lake Rosseau, municipally known as 59a Burgess Road. He demolished the existing cottage and replaced it with a larger cottage. It was the Township’s position that the structure was a 1.5 storey boathouse with living accommodations on the top floor. Accordingly, the Township took the position that the boathouse was built contrary to the Planning Act and Township zoning by-laws and that it ought to be demolished. It was Mr. Bak’s position that the structure was, in fact, an aerodrome and that, based upon the application of inter-jurisdictional immunity, municipal by-laws and requirements did not apply to the construction and use of a federally registered and regulated water aerodrome. i) The Federal Government has exclusive jurisdiction over aeronautics. ii) The Federal Government regulates private aerodromes under the Aeronautics Act and its regulations. Private aerodromes are governed by a permissive regime that does not require prior federal authorization for the location of aerodromes. Further, once an aerodrome is registered with the Ministry of Transport, it is subject to federal regulation and safety standards. Aerodrome means any area of land, water (including frozen surface thereof) or other surface used, designed, prepared, equipped or set apart for use either in whole or in part for the arrival, departure, movement or servicing of aircraft and includes any buildings, installations and equipment situated thereon or associated therewith. iv) The federal power over aeronautics enjoys an inter-jurisdictional immunity over provincial or municipal laws. v) A municipality cannot regulate or place restrictions on what use is made of a water aerodrome, once it is federally registered and subject to federal regulations. Mr. Bak submitted that the Federal Government’s registration, publication and regulation of his water aerodrome were determinative of the issue of whether the structure was an aerodrome and therefore immune from local regulation. i) Mr. Bak was in the development business for many years. He did not own a plane nor did he have a pilot’s licence. ii) When Mr. Bak purchased the subject property on Lake Rosseau, it was his intention to tear down the old cottage, build a new cottage and construct a single storey boathouse. iv) On November 17, 2008, the Township refused the zoning amendment. Mr. Bak appealed. vi) Mr. Bak withdrew his appeal to the OMB when the Township determined not to process the shore road allowance acquisition until after the appeal had been concluded. vii) It was not until after the Stop Work Order was issued by the Township that Mr. Bak, through counsel, advised the Township that the structure being built was an aerodrome. The construction undertaken in July 2011 was in the EP Zone. In August 2011 when the letter was written, the structure was not registered as an aerodrome. viii) Mr. Bak’s designer, Terry Ledger, after speaking to a number of pilots, designed the structure to have an entrance of 40 feet wide with a height of 12 feet from the top of the decking to the top of the entrance. ix) The structure, as built, had a 38 foot wide door and an entrance height of 9 feet, 7 inches. A Cessna 182 plane would not fit into the structure. x) David Smith, who prepared the building plans from the Ledger conceptual drawings, had no knowledge airplanes and undertook no investigation of plane sizes. xi) The structural engineer, who prepared the plans for the steel dock, the building’s eventual foundation, had no input into its size or functional use as an airplane hangar. xii) Keith Reilly of Transport Canada indicated that, as long as an applicant provides the required aeronautical data and confirms that he is not aware of any hazards, the Ministry is obliged to register and publish the information. To qualify as “Aeronautics” and therefore fall under federal jurisdiction it is imperative that the facility be strictly “Aeronautics” and not “mixed use”. A hangar will not necessarily get the protection of federal jurisdiction if it is also used as a residence or used for storing non-aeronautical equipment such as boats, RVs or ATVs. Likewise a fuelling facility that is used for fuelling aircraft and also other vehicles will not necessarily be protected under federal jurisdiction. To ensure that federal jurisdiction is effective the facility must be clearly [related to] “Aeronautics” and nothing else. Facilities can even lose their federal jurisdiction protection years later. This can happen if a hangar is built legally without a municipal building permit, and is used solely for storing aircraft and other aeronautical equipment, but years later non-aeronautical equipment is stored there, even if it is by a later owner of the same property. If discovered as storing non-aeronautical equipment the municipality can require permit and if the design would not qualify for a permit, the municipality may insist that it be torn down. Since the structure is not being used for aeronautics, the municipality would be within their jurisdiction. Development of combinations of aeronautical and non-aeronautical facilities can cause confusion as to the jurisdiction. For instance when developing a “fly-in residential community” fully detached hangars, fuelling facilities, windsocks, runways and taxiways would be considered “aeronautics” and would not require building permits. Houses, roads and other non-aeronautical uses on the same property would require building permits as these are not aeronautics and do not come under federal jurisdiction. Confusing “mixed uses” of aeronautical and non-aeronautical facilities should be avoided, such as hangars physically attached to houses. These will not be clearly “aeronautics” and may require municipal building permits. xiv) Mr. Reilly understood from conversations with Mr. Bak that, in seeking aerodrome registration, this was in part his motivation to solve the problem he was having with the Township. In addition, based on the picture you provided, it does not appear that a floatplane could be accommodated at your dock. xvii) There is no evidence that the structure was used as a hanger or for aeronautical purposes during the summer of 2012 and up until January 2013.
xviii) The structure was observed in use as a boathouse. Pictures take on June 15 and August 18, 2012, show boats and watercraft moored inside the structure. The facts which I have analyzed seriously erode and call into question the Respondent’s sincerity in his position that at core, the structure is an aerodrome and not a boathouse. There are simply no facts, events or circumstances on the record before me that the structure was essential or integral to aeronautics or to. At its simplest, this is because I find that the decision to register an aerodrome was an attempt by the Respondent to evade and circumvent zoning and planning by-laws. The facts here do not demonstrate that the Respondent had any real intentions to operate an aerodrome or to use his structure for aeronautics related purposes. As a final point, the judge commented that there is a purpose for enacting environmental zoning or planning regulations and building regulations. Lakes and rivers are not immune from slow degradation as a result of human activity. If Mr. Bak’s position was correct, then, subject to the expenditure of time, energy and costs, aerodromes appearing to be and operating as boathouses would, in due course, come to proliferate or at least become more prominent on Ontario’s lakes, all without environmental zoning or planning oversight. The application by the Township for a mandatory order to demolish the structure was granted. This case is important in that it is the first time that a Canadian court has adopted English law confirming a shipowner’s right to “intercept” freight where it is a party to a bill of lading and where the shipper has not yet paid that freight to a third party. Byatt International SA (“Byatt”) was the owner the M.V. Loyalty (“the vessel”). Byatt granted a time charter of the vessel to Korea Line Corporation (“KLC”) who in turn granted a time charter to MUR Shipping BV (“MUR”). MUR then granted a trip charter to Canworld Shipping Company Limited (“Canworld”) who, in turn, agreed to carry sulphur (the “cargo”) from Vancouver to Australia, for Prism Sulphur Corporation (“Prism”) pursuant to a bill of lading. The said bill of lading was signed by the master of the vessel, naming Prism as the shipper and BHP Billiton Olympic Dam Corporation as the consignee of the cargo (the “Bill of Lading”). KLC declared bankruptcy in Korea and by the time it defaulted on its payment to Byatt under their time charter, Canworld had not yet paid MUR but MUR had already paid the monies it owed to KLC. The freight payable by Prism to Canworld had also not yet been paid when Byatt served notice of lien under its charter party on Prism and “intercepted” the freight; that is, directed that freight to be paid to itself on the basis of the Bill of Lading. Prism, not knowing to whom it should make payment, paid the monies it owed (over $300,000 USD) into its solicitor’s account and made an interpleader application. The Chambers (or motions) judge held that the monies should be paid to MUR and that Byatt failed in its claim on the basis of equitable principles and, essentially, that it would be unfair to allow Byatt to successfully impose its lien in light of the financial settlement agreement with KLC. Such agreement had resolved Byatt’s claims against KLC and any payments made to Byatt then, according to the judge, would be to the credit of KLC leaving MUR considerably out of pocket. The judge was satisfied that the terms of the financial settlement agreement had been received by Byatt. The monies were ordered to be paid to MUR, being the funds that would normally have satisfied Canworld’s obligations to it and in light of the fact that MUR had paid in full the contract price agreed upon with KLC. I have concluded that regardless of the strengths or weaknesses of the lien or the interpretation of the charter party advanced by Byatt, equity prohibits the court from enforcing Byatt’s interpretation of the charter party or enforcing the lien. I do so because if the lien is enforced, Korea Line, the party which caused by their conduct this unfortunate series of events, stands to be the only party to benefit. They would be overpaid. They have already been paid once. MUR, who acted as it should, delivered the product as contracted, would be out of funds to the tune of $330,000 US. As for the contractual argument, the consequence of any breach of contract is for the innocent party or the breached party to prove its damages. Here Byatt has no damages, and if they did, nothing this court could do would result in any benefit to them. The benefit of a contractual remedy, it appears as a result of the settlement agreement, also flows to Korea Line. The effect of the court enforcing the lien or of interpreting the contract as Byatt suggests would have the effect of MUR being out of pocket moneys just and duly owing to them, and Byatt or Korea Line would receive a windfall based on the default and subsequent settlement by Korea Line. The court cannot in all consciousness promote such an inequity. The British Columbia Court of Appeal reversed. The grounds for appeal included the Chambers Judge’s alleged errors relating to his findings regarding Byatt’s entitlement to the freight, that the settlement agreement between Byatt and KLC prevented Byatt from exercising its lien or directing payment of the freight or that Byatt had received or accounted for the financial terms in that settlement agreement. The grounds for appeal also focused on the Chambers Judge’s reliance on equitable principles to thwart the commercial terms of the time charter. The British Columbia Court of Appeal held that Chambers Judge had failed to identify the specific equitable principle that an otherwise valid result would offend apart from a dual payment to KLC mentioned in paragraph 23 of his reasons quoted above. The Court of Appeal then characterized the Chambers Judge’s decision as “his idea of a fair result.” and held that the judge erred in failing to determine whether Byatt had a legal entitlement to the funds. The Court of Appeal held, at paragraph 16, that the judge was to base his decision on legal and equitable principles but was not empowered to decide the fairest way to distribute the money. If it was “unjust enrichment” or the rule against “double recovery”, neither applied since both depend on a finding that Byatt has already been paid through the settlement with KLC and there was no evidence that a payment of freight to Byatt would result in KLC being paid twice for its sub-charter. The Court of Appeal held that there were no equitable principles preventing payment to Byatt. In fact, the Court of Appeal found that the settlement agreement expressly contemplated that Byatt would take action to recover third party losses related to the KLC insolvency and, if successful, would account for that in the financial reconciliation between the parties. Byatt did not give up or assign to KLC its right to make third party claims and, contrary to the judge’s finding, Byatt had received no money from KLC at the time of the hearing and Byatt was pursuing its own interest in maintaining its claim and not as a surrogate for KLC. … compromises made in insolvency are not relevant to the legal entitlements against parties not involved in the compromise. If there is a valid contractual claim by the owner through the head charter party and it is a right that runs through the chain of charter parties, the result should follow that commercial reality. It should not follow what the judge thinks most fair. The money simply went from principal to agent and the principal never lost control of the funds. This, in my opinion, did not constitute a payment in the sense of a complete alienation of the funds. The notice, as supplemented, was effective and establishes Byatt’s entitlement. Further the Court of Appeal, relying of the Wehner decision supra, found that, as Byatt had not been paid by KLC for the associated time charter via the settlement agreement or otherwise, MUR could not argue that Byatt, as owner, must account to those lower in the chain for any overpayment obtained on the interception of freight and pay all monies to MUR. The Court of Appeal, having found Byatt’s claim valid on other grounds, made no finding on the alternate claim by Byatt to enforce its lien on the freight. MUR contested this ground on the basis that the bill of lading signed by the master of the vessel referred to the last charter party in the chain (rather than the head charter party) arguing that such claim was beyond Byatt’s reach. This decision is important as this is the first time in Canada where a court has recognized and affirmed that, where it is a party to the bill of lading, the shipowner has the right to direct the freight payment to itself in situations where the shipper has not already discharged that obligation. (*1) Pro tanto means a partial payment on a claim. October 1st, 2013 was the implementation date for certain provisions of the Moving Ahead for Progress in the 21st Century Act (“MAP 21”) being legislation recently enacted in the United States regulating persons acting as freight or load brokers or freight forwarders (*2). This legislation is of critical interest to Canadian load brokerage operations and motor carriers who carry on brokerage (e.g. “non-asset backed”) operations that operate in the United States under the jurisdiction of the Federal Motor Carrier Safety Administration (“FMCSA”). The new legislation requires that anyone acting as a broker or as a freight forwarder subject to FMCSA jurisdiction to register and obtain broker or freight forwarder authority, and it significantly increases the financial security requirements for “property brokers”(*3). These provisions are contained in a portion of MAP-21 referred to as the “Fighting Fraud in Transportation” bill, which are intended to increase the profile and accountability of brokers and freight forwarders. The prevalence of freight intermediaries has seen a ‘few bad apples’ – and, with the latter, the risk of carriers not being paid freight charges, whether through the insolvency of the intermediary or as a result of a false billing ‘scam’. The risk of carriers going unpaid, and, for that matter, of cargo theft (witness the incidence of identity theft-related scams) with the ‘bad apples’ would hopefully subside with the new regime. Questions have been raised by various industry sectors concerning the logistics of registration and financial security compliance with the new regime, which came into effect on October 1st. Concerns have also been raised as to nature and scope of FMCSA enforcement, and what would happen should ‘everything not get done in time’. In response, the FMCSA has published a “Guidance Statement” listing ‘Frequently Asked Questions’ with a regulatory response. 1. What is a broker? “Non-asset backed” brokers are not the only entities caught by the U.S. legislation: as mentioned, MAP-21 prohibits motor carriers from brokering transportation services unless they are registered as brokers. Accordingly “asset backed” entities, who either operate incidentally as brokers, or who on a “one off” basis “broker out” a load need to hold a broker authority. One important distinction concerns the true “interline” situation, which is touched on below. 2. Are brokers required to register with FMCSA? Brokers that are under the FMCSA jurisdiction (again, including motor carriers who broker out loads), that are involved in interstate commerce (or cross-border commerce, into or from the United States into Canada) and subject to FMCSA jurisdiction are thus required to register with FMCSA. MAP-21 requires motor carriers that broker loads, even only occasionally, to register both as motor carriers and as brokers. While it is clear that motor carriers are subject to the FMCSA when they operate in the United States (either the equipment is in the United States or it isn’t), the situation is perhaps not so clear concerning a broker who arranges for a third party carrier to move freight into or out of the United States or between states. If the brokerage operation itself is based in the United States with decisions and arrangements made from a U.S. address, the regulatory ‘catch’ of the FMCSA would seem to be clearer; however, what of the Canadian based operation merely making arrangements for a load to touch U.S. soil at some point? This will ultimately be a question for a U.S. attorney to address on point, as to the scope of FMCSA enforcement ‘reach’. A parallel might be drawn with the Ontario Court of Appeal decision in Canadian Imperial Bank of Commerce v. Nadiscorp Logistics Group Inc. 2009 CanLII 50866 ON S.C., [affirmed, 2010 ONCA 397 (CanLII)]. In that case, an intermediary became insolvent. The Receiver collected certain accounts receivable of the intermediary being freight payments from shippers to be paid to carriers. A dispute arose between the secured creditor of the insolvent intermediary and the (unpaid) carriers. The former claimed a priority secured position over freight monies collected from shippers. The latter claimed trust beneficiary status (and, with this, priority to the funds) by virtue of the legislation in effect in Ontario which deems a statutory trust to exist in respect of freight monies paid to an intermediary intended for a carrier (*6). The court ruled that the broker’s place of operation, being in Ontario, determined that it was subject to the laws of Ontario, regardless of the fact that the routing for the shipments in question were outside of the province of Ontario. Whether this line of thought might should a Canadian based broker run afoul of the MAP-21 requirements in respect of a load travelling through the United States, is unknown. The FMCSA may not prosecute such cases for practical reasons – or it might – but the question remains whether it could. In this regard, specific legal advice from a U.S. attorney will be important. To interline a shipment is to transfer the property between two or more carriers for movement to its final destination under one carriage mandate. The origin carrier hauls the freight to an intermediate location, with the interline delivery partner completing the carriage to destination. A motor carrier that is performing a part of a single continuous transportation movement as an interline operation may perform that service under either its own operating authority or the authority of the originating carrier. Accordingly, when one carrier hands cargo off to another in an interline situation, after having hauled the freight part way, it will not be considered to be brokering the cargo to the delivering carrier and, as such, a broker registration will not be required. However, a truckload shipment that is moved from origin to destination by a subcontracted carrier will be considered to involve brokering operations. 4. What is the civil penalty for a broker or freight forwarder who engages in interstate operations without the required registration? A broker who knowingly engages in interstate brokerage operations without the required operating authority is liable to the United States for a civil penalty not to exceed $10,000 and can be held liable to any injured third party for all valid claims regardless of the amount. The penalties and liability to injured parties apply jointly and severally to all corporations or partnerships involved in the transportation and individually to all officers, directors and principals of those business forms. (Note that a broker of household goods who engages in interstate operations without the required operating authority is subject to a civil penalty to the United States of not less than $25,000 for each violation). 5. Financial Security RequirementsA broker must maintain as a minimum level of financial security a surety bond or trust bond in the amount of $75,000 that must be filed with the FMCSA. This represents an increase from the former regime of a $10,000 requirement for brokers All brokers subject to FMCSA jurisdiction must file new BMC-84 or BMC-85 forms reflecting the new minimum financial security amount of $75,000 as of October 1st. Companies providing broker or freight forwarder services, including motor carriers, are required to obtain the appropriate operating authorities, and, as of October 1, 2013, are required to meet the new minimum financial responsibility requirements. The FMCSA has announced that it will be providing a 60-day phase in period beginning October 1, 2013, to allow the industry to complete all necessary filings. Beginning November 1, 2013 the FMCSA will mail notifications to all brokers and freight forwarders that have not met the $75,000 minimum financial security requirement. The FMCSA will provide a 30 day advance notice before revoking the freight forwarder and broker operating authority registrations. Interestingly, the FMCSA acknowledges in the Guidance Statement that there are motor carriers who occasionally broker loads that have not been previously required to obtain operating authority registration from FMCSA as brokers, but that it is unable to determine the number of such motor carriers, “making implementation of a comprehensive enforcement program difficult”. Accordingly, the FMCSA will phase in its enforcement of the broker registration requirements for motor carriers that also broker loads. During the first phase-in period, FMCSA will accept complaints regarding unregistered brokerage activities of motor carriers through a National Consumer Complaint Database. The FMCSA advises that it will work with industry groups to use this complaint information and other data to ascertain the extent of the unlicensed broker population subset within the motor carrier industry after which time the agency will work towards developing a comprehensive enforcement program. The Guidance statement “strongly encourages” all motor carriers not to accept loads from unregistered brokers or freight forwarders, as those entities may not have the financial security mandated by MAP-21. Canadian based motor carriers will, of course, be subject to FMCSA jurisdiction as and when they carry on business in the United States. As mentioned, it is a trickier ‘call’ as concerns the Canadian based broker who arranges the carriage of goods involving a U.S. routing. The broker or carrier must obtain qualified legal advice on these points. Prudence would dictate full and proper compliance. No doubt, being registered and financially secured under the new regime would enhance the ‘brand’ of the broker or the motor carrier. (*2) “Freight Forwarders” are specifically defined, and regulated under U.S. Federal law. As the term is used in Canadian law and practice such an entity is not defined or regulated under Canadian law. (*3) Sections 32915 – 32918 provide an increase from the historical $10,000 requirement for load brokers to $75,000, and as described in the article, for motor carriers acting as load brokers. (*4) By way of comparison, the extent of broker regulation is quite limited in Canada. In Ontario, s. 191.0.1 of the Highway Traffic Act, R.S.O. 1990, c. H.8, provides that “A person who arranges with an operator to carry the goods of another person, for compensation and by commercial motor vehicle, shall hold any money received from the consignor or consignee of the goods in respect of the compensation owed to the operator in a trust account for the operator until the money is paid to the operator”. Brokers must be registered in the province of Quebec. (*5) This said, from the Canadian perspective (and quite possibly, from the American perspective, although I am not qualified to comment), a broker may as a matter of contractual undertaking assume responsibility for the safe delivery of cargo. (*6) See Endnote (*4) above. The application of limits of liability under a bill of lading is one of the most common disputes usually arising out of cargo claims. In a recent decision of the Quebec Superior Court, Souveraine (La). Compagnie d’assurances générales v. County Line Trucking Ltd., 2013 QCCS 5089 (CanLII), a dispute arose as to whether a subcontracted carrier can rely on more favourable terms part of the original bill of lading between a shipper and the original carrier. In this case, an unnamed shipper retained the services of a carrier, Distribution Réfrigérée TAS Inc. (hereinafter referred to as “TAS Inc.”) for the carriage of cargo. It appears that in the agreement for carriage between TAS Inc. and its client there was no declared value and only the “usual limit of liability”. The Court did not specify in its decision exactly what this limit was, however the context indicates that this would refer to the standard $2 per pound of the cargo carried under the standard “uniform bill of lading”. In turn, TAS Inc. subcontracted the carriage of the cargo to a third party, County Line Trucking Ltd. (hereinafter referred to as “County Line”). In its contract with County Line Trucking Ltd., TAS Inc. declared a value of $140,368.42 – being an amount in excess of the aforementioned “usual limit of liability” in the contract between TAS Inc. and its client. While the cargo was in transit and in the care and custody of County Line, the cargo was damaged. As a result of the incident, La Souveraine, Compagnie d’assurance générale (hereinafter referred to as “La Souveraine”), TAS Inc.’s insurance company, indemnified the shipper by paying it $140,368.42, the amount representing the declared value in the contract between TAS Inc. and County Line. La Souveraine, subrogated in the rights of the shipper and TAS Inc., brought an action against County Line in contribution for the amount paid to the shipper. County Line denied owing this amount and raised that it was entitled to rely on the most favourable limit of liability found in the original agreement for carriage between TAS Inc. and the shipper. To support its position, County Line argued that agreements for carriage were governed by the dispositions of the Quebec Civil Code and regulated in a way that it was excluded for TAS Inc. to stipulate for another and that since it was deemed part of the original agreement for carriage between the shipper and TAS Inc. as per section 2035 of the Quebec Civil Code, it could rely on the limit of liability clause found in this agreement. Finally, County Line argued that La Souveraine could not impose its decision to not raise the limit of liability found in the agreement between TAS Inc. and the shipper when it chose to indemnify the shipper. The Court had to decide whether County Line could rely on the limit of liability found in the agreement between TAS Inc. and the shipper instead of the declared value found in its own agreement with TAS Inc. The Court held that County Line was not entitled to rely on the limit of liability found in the agreement for carriage between TAS Inc. and the shipper, and that, accordingly, La Souveraine was entitled to claim against County Line an amount representing the declared value in County Line’s agreement for carriage with TAS Inc.
After a complete review of the applicable section of the Quebec Civil Code and the Regulation respecting the requirements for bills of lading, the Court held that nothing prevented TAS Inc. from inserting a declared value in its agreement with County Line. Further, the Court held that the fact that County Line was deemed party to the agreement for carriage between TAS Inc. and the shipper did not mean that County Line could not agree to more onerous obligations in its agreement with TAS Inc. Finally, the Court also held that this stipulation (the declared value) found in the agreement between TAS Inc. and County Line was, in fact, a stipulation for a third party, i.e. the shipper, enforceable in civil law, and that La Souveraine, subrogated in the rights of the shipper, was entitled to enforce it. This case is a classic demonstration of how important it is for carriers to read and fully review agreements for carriage they sign as the consequences of a breach can be quite expensive.